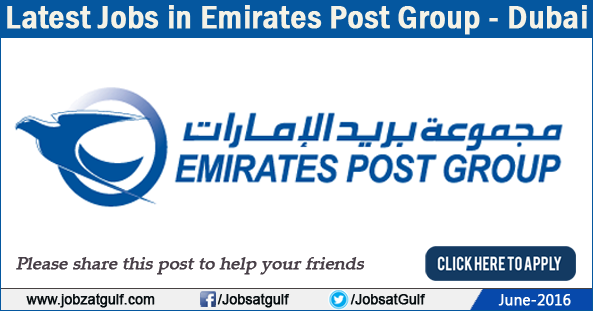 Emirates Post Group is a leading player in the fields of mail collection and delivery, postal services, remittances, parcels, courier, money exchange and remittances, printing and personalization of cards and invoice & mailing services for big corporations and banks. These services are handled by four subsidiaries: Emirates Post, Empost, Electronic Documents Centre and Wall Street Exchange Centre. The Group offers excellent work environment and high growth prospects for committed and dedicated employees. The Group follows global best practices in employee recruitment, training and evaluation, and ensures that high performing employees are rewarded appropriately. It also encourages employees to upgrade skills through regular training programs conducted by professionals and experts, either internally or through outside training companies. Provide leadership and support to the inquiry by monitoring teams performance and ensuring that the appropriate resources are available to provide inquiry resolution to our customers.